I am not a great fan of cottage gardens, and therefore it stands to reason that I am not a fan of most herbaceous plants. They are far too untidy in habit, and delicate or romantic flowers are not my thing. However, there are a few exceptions and Salvia discolor is one of them. At face value this specimen is the very definition of the word straggly! Its long, gangly stems sprout out from the base of the plant and barely seem to be able to support its own weight. It fact it looks far to weak to bother with, and personally, if I didn't know what is was I would lift it and dump it on the nearest compost pile. 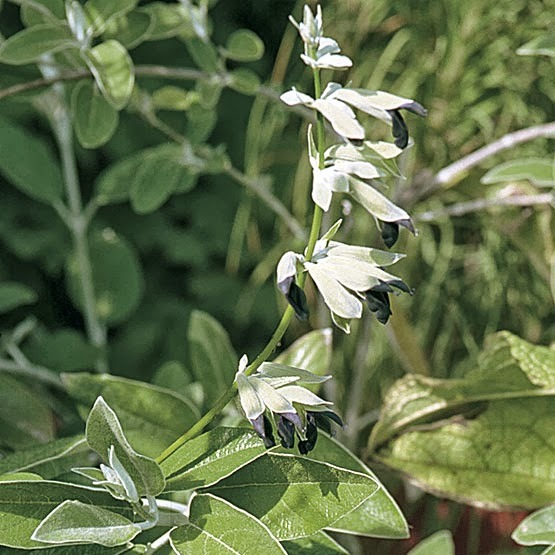 However, Salvia discolor is a gorgeous little star of a plant and as soon as it comes into flower all thoughts of its feeble habits are abandoned! 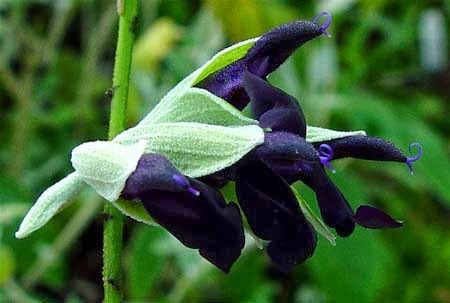 Commonly known as the Andean sage, Salvia discolor has the most incredible flower. The darkness of the blue flowers is so deep that at a first glance they appear to be jet back. This impression is further reinforced by the extreme contrast of its silvery-green calyx. Luckily for us, it in flower now as it is brought out by warm autumnal spells. 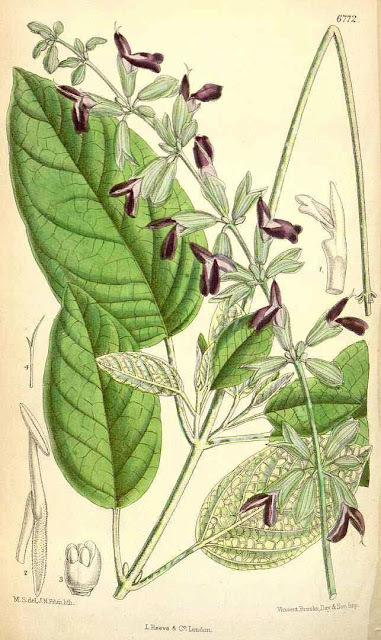 Native to a very localized area in Peru, it was brought to light by William Robinson in 1933. Robinson was an Irish gardener and journalist whose ideas about wild gardening spurred the movement that evolved into the English cottage garden. It turns out that there is a good reason behind its feeble habit as Salvia discolor is not just another typical herbaceous plant, it is also scandent. This means that it climbs without the use of tendrils, supporting itself instead with those horrible, wiry white stems that grow from its base. It flowers during the hot spells of summer and autumn, while the leaves, stems and flower buds all produce a strong 'blackcurrant' fragrance. The stems of the flowers are shiny and covered with glands which exude a sticky substance.